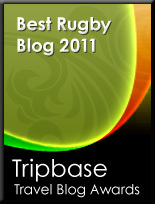 TOTAL FLANKER...a rugby blog: Fast Eddie missing a trick? There's been much clamour and excitement surrounding the announcement of Eddie Jones' first England squad, with 7 uncapped players included and several of Stuart Lancaster's stalwarts omitted. There are a few to miss out who might count themselves unlucky - Will Fraser, Joe Simpson and (perhaps) Danny Cipriani, for instance, but on the whole it's an exciting and boldly selected group of players - now all we need is for Jones to be equally brave when selecting the 23 to face the Scots at Murrayfield on 6th February. 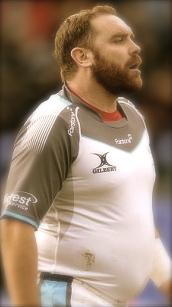 Where Fast Eddie may have missed a trick, however, is in his failure to call upon the services of the vastly experienced Andy Goode, recently emerged from retirement. Judging by Goode's impressive physique and the problems experienced by the England front row at the World Cup, I would have thought that the England number 3 shirt would have been an ideal fit.